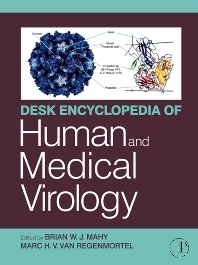 This volume contains 82 chapters that provide detail and understanding to the fields of human and medical virology. The first section describes general features of common human viruses with specialized chapters related to HIV/AIDS. The volume goes on to describe exotic virus infections, including one now eradicated virus (smallpox) and some now controlled by vaccination such as yellow fever. Concepts of medical virology are further developed with entries on viruses associated with oncogenesis and selections of interest to medical virology.